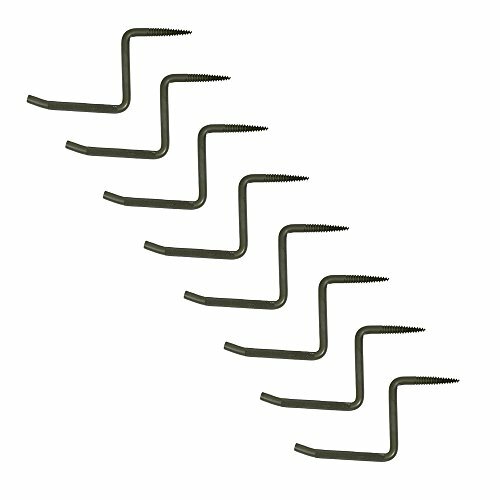 Stay elusive with the 8 pack of STEP-UP screw-in Tree steps from Ameristep. Simply screw in to the Tree and you have a sturdy ladder. The Tree step allows you to keep your spot hidden on public land from other hunters and stay elusive from the game by not having a large bulky ladder. The 4 inch step area allows for plenty of room when climbing with gloves and boots. Extras can be used as a bow hanger, solid point of contact option when getting in Tree stand, or simply hanging your hunting bag and other accessories.